So last year, I was at my parent's house and we went to Cracker Barrel Restaurant (I seem to be mentioning this place a lot lately) but while there I saw some ADORABLE Christmas Tree Picks in their Country Store. 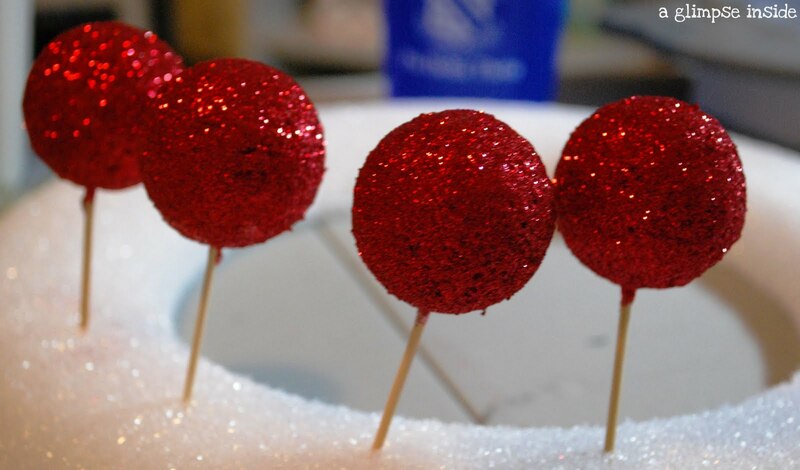 I wanted to buy them but after further examination, I realized that I could just make them. So I went off to Michael's and bought all the supplies and then NEVER made them! So this year, I knew I just had to do it and I'm so glad I did... they are so cute! To begin: Push a toothpick into each ball. 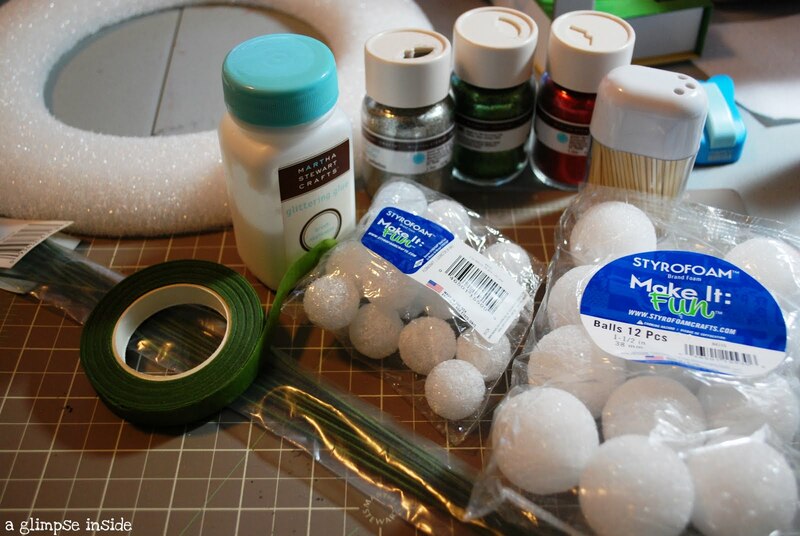 Cover each ball completely in glue. Try not to get a lot of glue on the toothpick where it enters the ball. 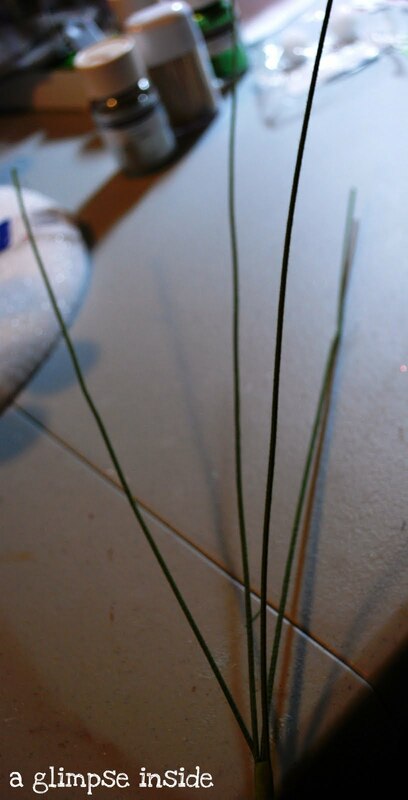 It can then be hard to pull out the toothpick once the glue dries. 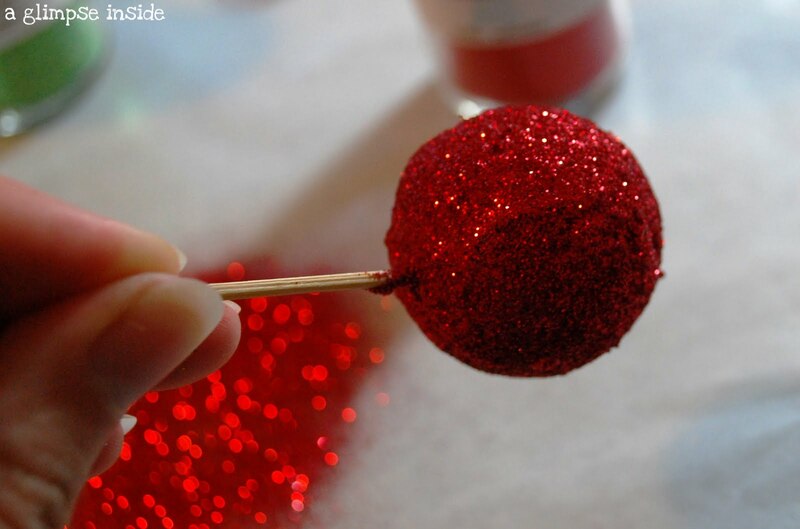 Cover the ball with glitter. 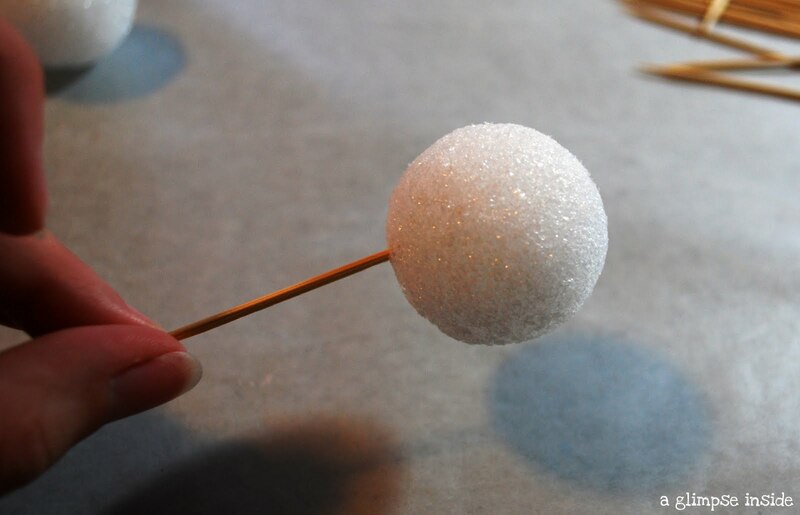 Then, push the other end of the toothpick into the styrofoam to hold it while it dries. Some of the balls drying. 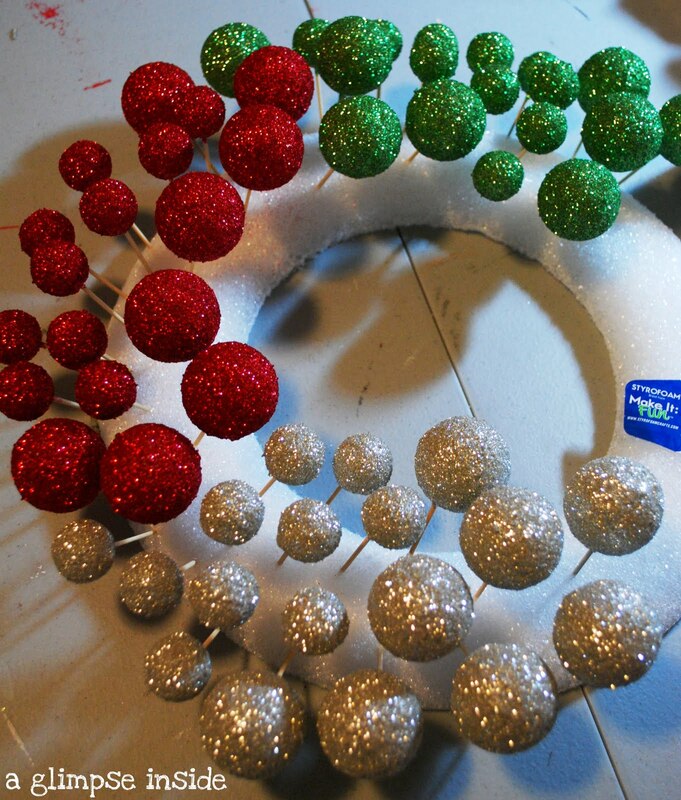 I made 8 large balls in each color and 10 small balls in each color. 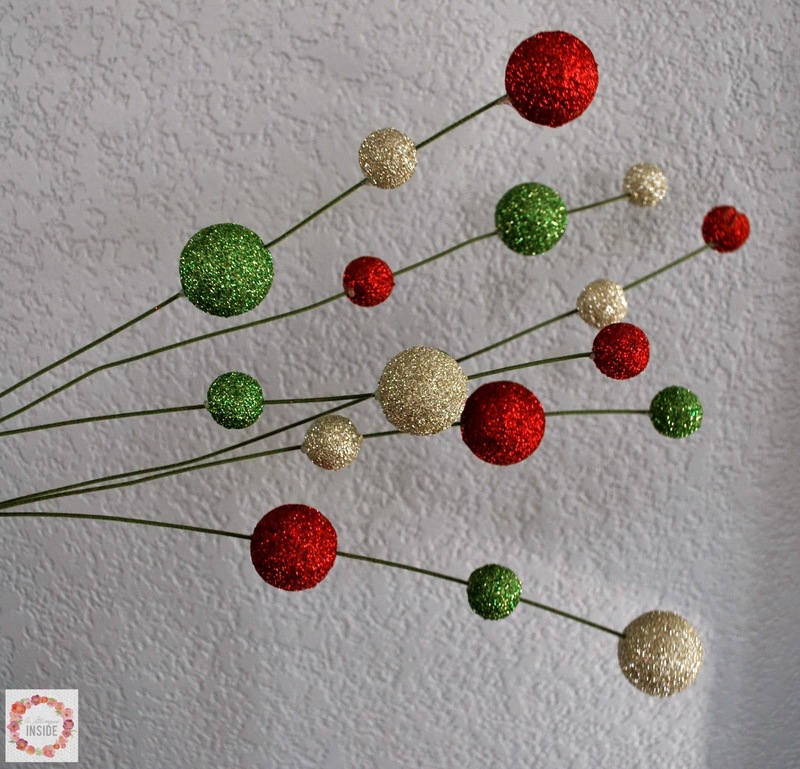 Now, take your 3 floral wire sticks and floral tape. 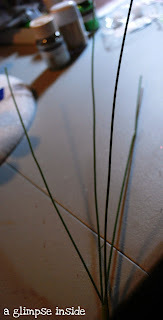 Wrap the sticks together at the bottom a couple inches to hold them together. 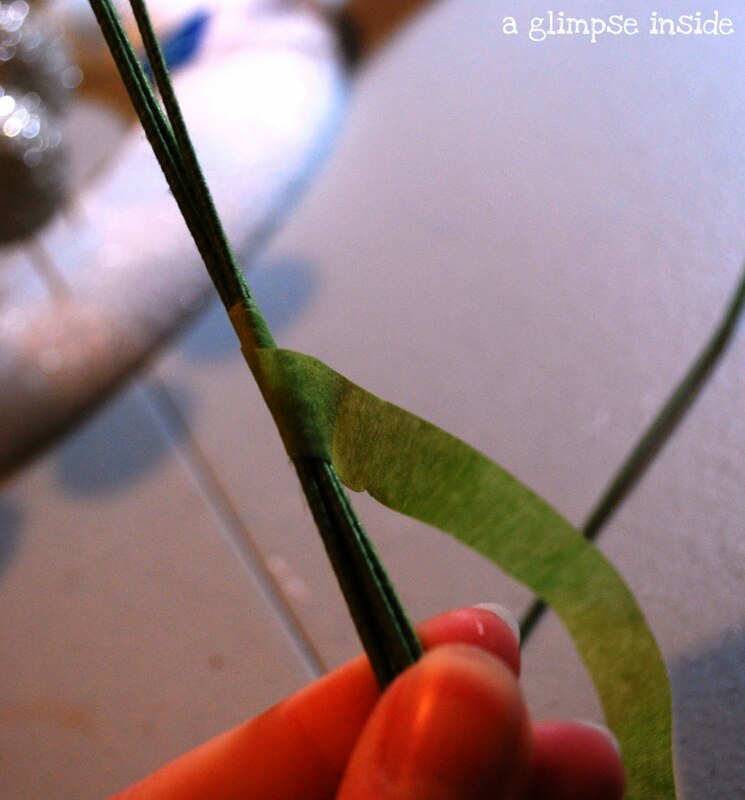 Shot of ends with floral tape. Now here comes the easy part. Just take your glittery balls when they are dry, and just push them directly onto the wire. 3 balls per wire. For bottom and middle ball, just push the wire all the way through. Top ball just go halfway. Space them out a little on each wire. 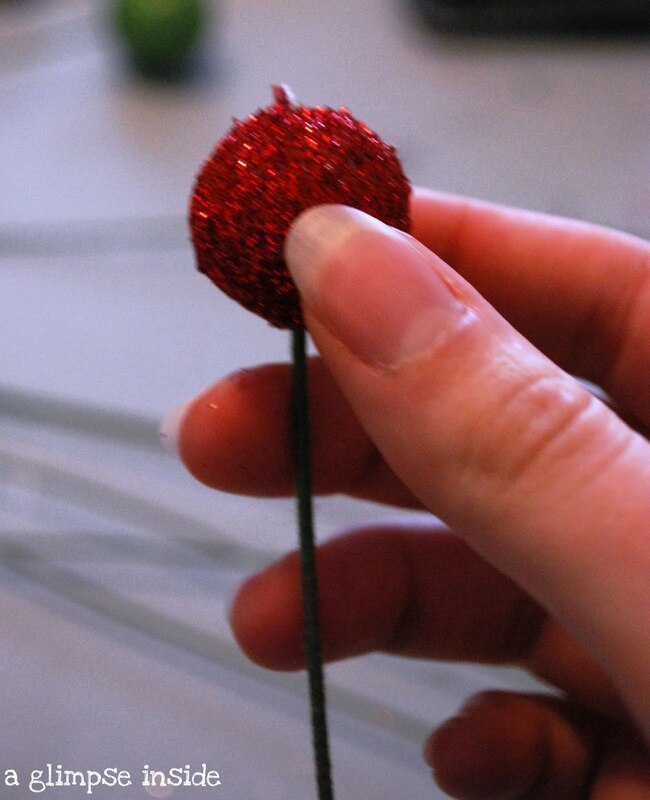 Either while you are putting the balls on or after you place them and have the correct spacing, you will need to glue the balls to the wire to make sure they stay. 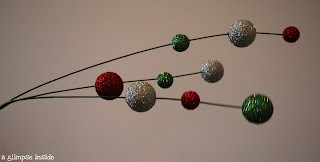 To do this, just move the ball a little forward (to the end of the wire) out of position and add hot glue to the wire. 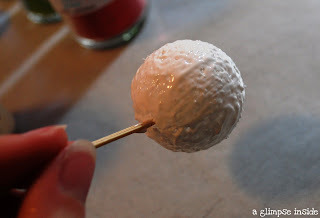 Then push the ball back over the glue to dry. And here is a grouping complete. I tried to alternate the colors of the sticks in each grouping. I created 6 total picks of 3 bunches each. I used a total of 54 balls. I could probably use a couple more picks but I ran out of supplies so maybe next year I will make some more. 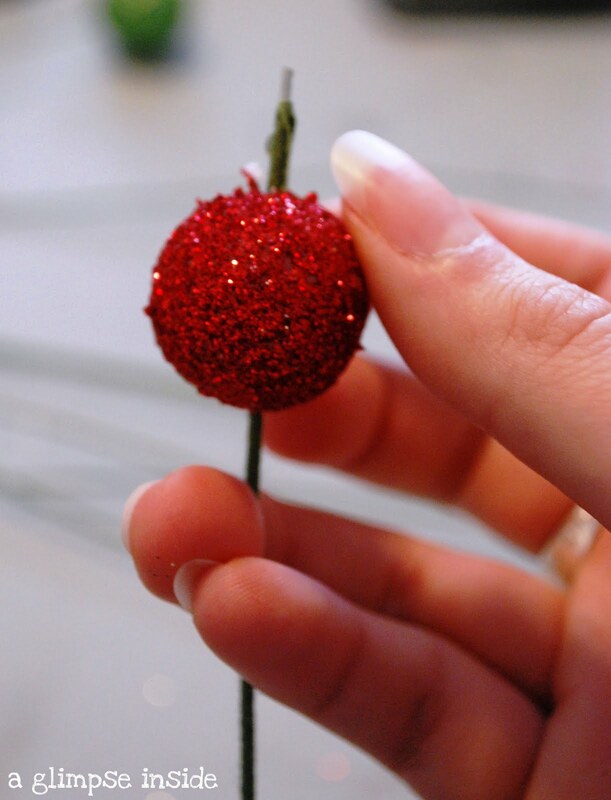 Now all you have to do is just shove them into your tree where there is a bare spot. 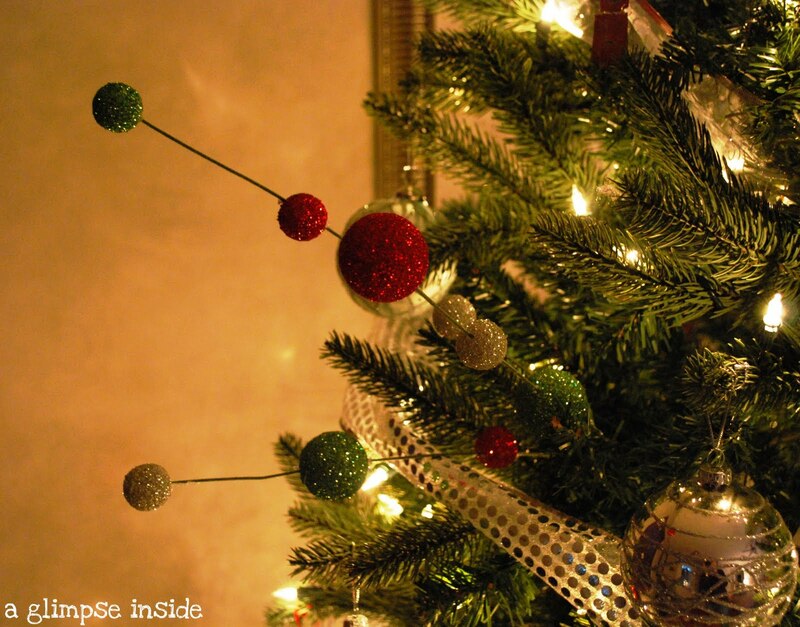 I love how they stick out and give another dimension to my tree! Hope you like my picks! I sure do! What a wonderful idea. I was just at the grocery store and saw some and wanted them....but on a tight budget...will have to make these next year! Great tutorial, I was unable to guess how you made them. They are so pretty! Hi Allison . . . Love your blog!! 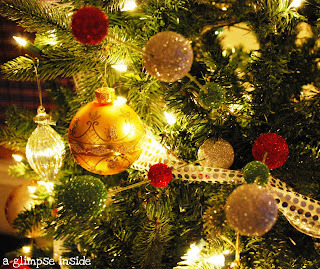 I'm a new follower and I hope you don't mind that I featured your blog in today's post and used a few of your photos. I'll remove them if you don't allow that. Thanks for the inspiration . . . it is appreciated! Bravo! 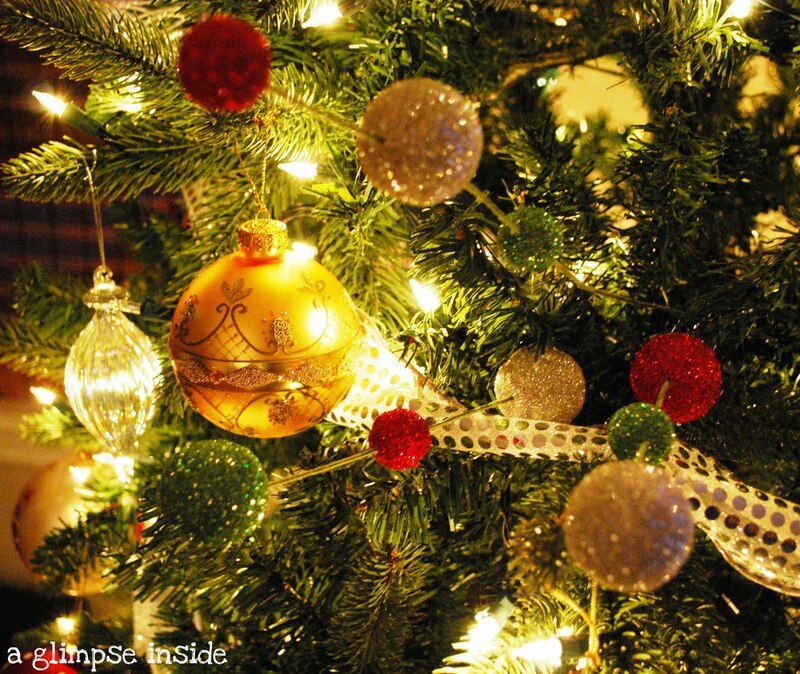 They turned out great & look awesome in the tree. Love it! I had an idea to do this and how best to accomplish it- and you've done that. Thanks! Very cute!! What a fun idea! 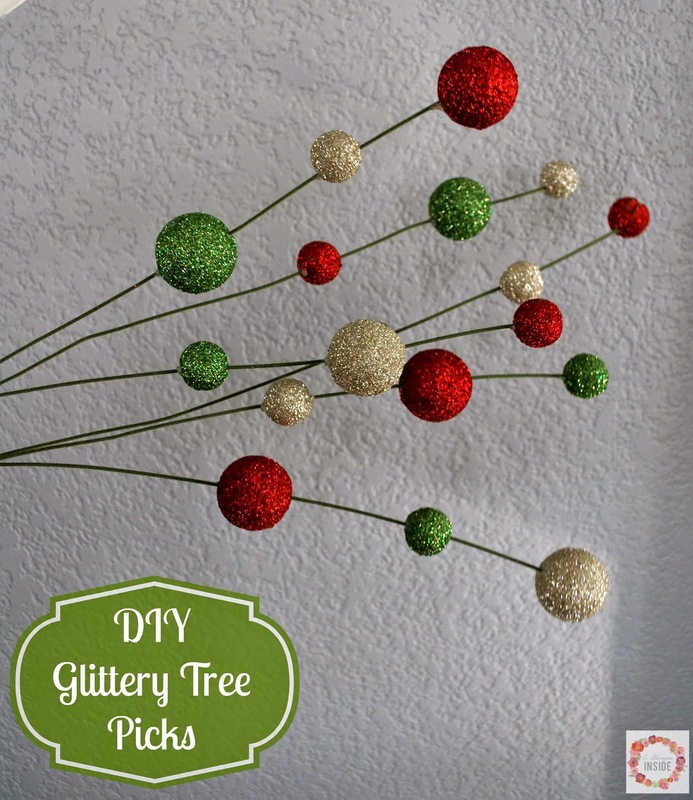 Thanks for sharing & Linking up for Craftify It Thursday! These are great, and thanks for the tutorial! this was so clever. it's better than paying 3-5 dollars a pick! bookmarking this for next year! saw you on tatertots and jello- man I wish I'd seen this before I bought some!!! hehe, but now I know how to make more ;) thanks for the tutorial- love it!! I really like these! Thanks for the tutorial~this is going on my "next year" list! Too fun! I just love that you decided to make these yourself. They look great! 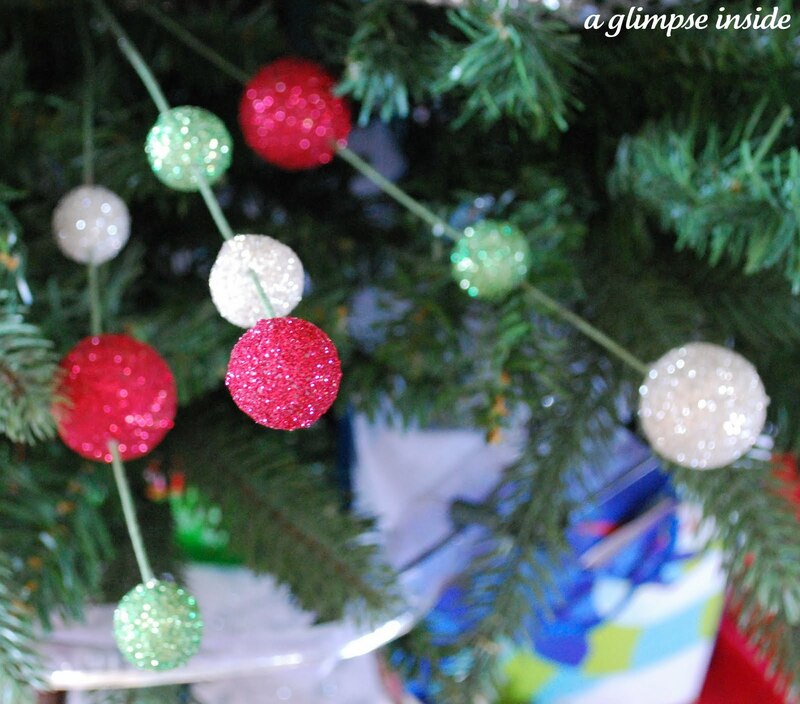 They remind me a lot of some of the Christmas picks I've seen at Target (that are way overpriced!). 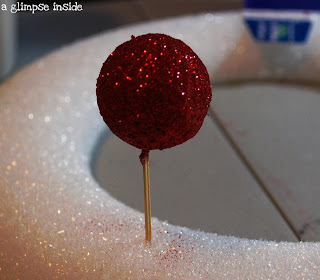 Thank you so much for sharing your tutorial and linking up to Homemade Christmas! I love this idea! I have a ton of styrofoam balls in my craft boxes that I will have to transform! Thanks for the tutorial! ADORABLE! Absolutely ADORABLE! and great photos too! I found your blog from a link party and I love it (resulting in me being your newest follower)! I grew up in Louisville and lived in Lexington for 8 years before I got married and moved to Chicago - I hope my beloved KY is treating you well!!! I have a blog also - karicorsi.blogspot.com - if you're interested. You are so creative! I am in love with these so I featured them tonight! Thanks so much for sharing them! I feel like such a dork! I bought some similar ones at a big holiday show close to us. I love them and didn't buy enought because they were expensive! I'm totally making my own next year. Thanks for sharing! Just came across this and I love it! Re-posting! I just wanted to let you know - I made this the other day and I'm sharing them on my blog today!! Thanks - they are adorable!!! Love them! They are so cool and innovative. Just gorgeous!